Allows developers to use standard Go channel semantics on top of various queuing backends like NSQ, Redis, and SQS. How Russia’s largest email provider developed a high-load WebSocket server with Go that could scale to their loads. The day before GopherCon, a group of Go team members and contributors gathered in Denver to discuss and plan for the future of the Go project. 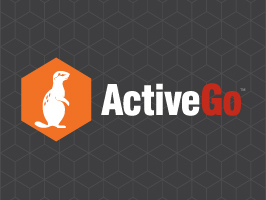 Satisfy your company’s requirements for commercial support, security and license compliance with ActiveGo for Linux, MacOS, and Windows. Try the Community Edition for free. syscalls bridge between your code and the operating system and this talk goes under the hood to look at what they are and how Go makes use of them. Create a worker pool that consumes queue messages and employs a state machine to process each worker lifecycle. Reed-Solomon codes are used in many systems from DVDs to QR codes to provide error correction. This post is about both a new Reed-Solomon Go library and how the system works itself. Using GORM as an example, it’s possible to rewrite a chained method and keep Go’s error-checking conventions. We are looking for a Full Stack Engineer with a strong interest in building, deploying, and operating back-end tools and services that process enormous quantities of data in performant ways. If you run a Go meetup, the Go Community Team want to know about it. This webinar, co-hosted by VividCortex & Datadog, explores best ways to monitor important performance metrics. Recreating a git contributions visualization (similar to Github’s) as a Go command line application. A case of Go’s best practices and conventions getting in the way of efficient implementation of interfaces. Instantly know what's broken and why. Rollbar is monitoring, alerting, analytics for production errors. Try it. Like cracklib, but written in Go. Pretty(ish) print config settings on app startup.